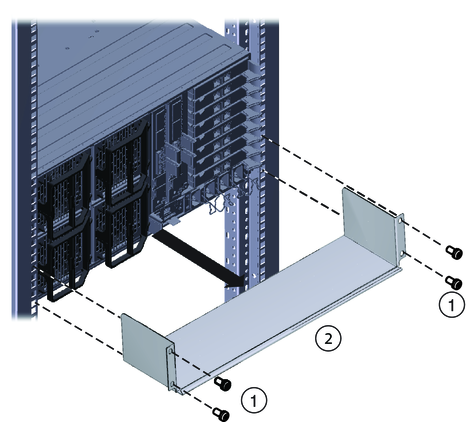 This procedure describes how to remove brackets from a system equipped with the universal rack mounting kit. The universal shipping bracket kit consists of a front bracket, a rear bottom bracket, and screws to connect them to the rack. Remove the two screws (1) that fasten the front bracket (2) to the front of the server and remove it. Find the screws from the front of shipping bracket that match your rack and use them to fasten the bezel into the rack. 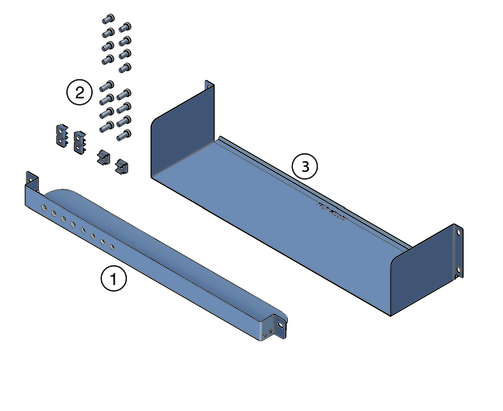 The front shipping bracket contains eight threaded holes used for storing unused screws (four M6 and four 10-32). 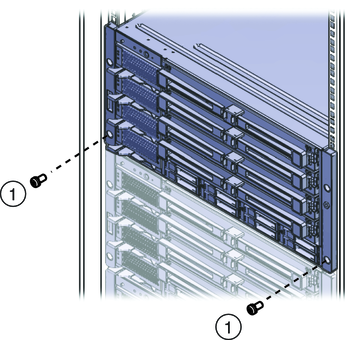 Remove the screws that match the threads on your rack and use them to secure the server to the rack. Thread the long screws that you removed in Step 1 into the matching empty holes on the shipping bracket. They will be stored there in case you need to reinstall the shipping bracket. 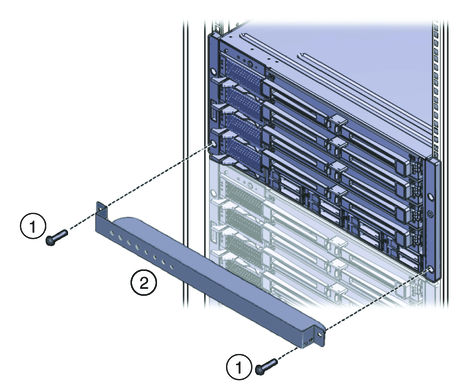 Remove the four screws (1) that fasten the rear bottom bracket (2) under the back of the server and remove it. Replace the four screws that you removed in Step 4.